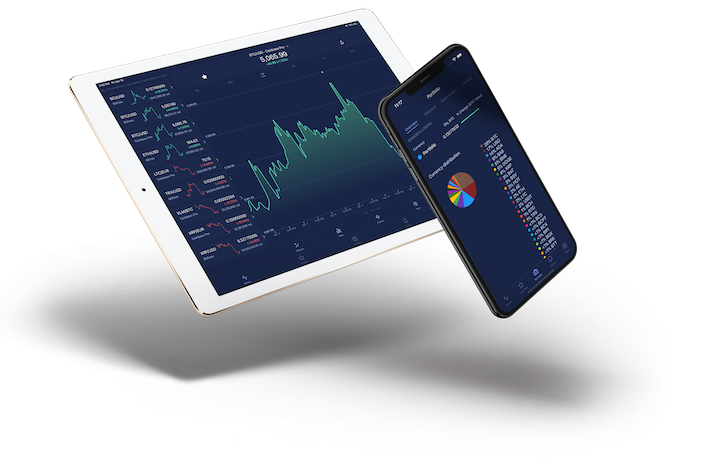 Tap into the global digital currency economy and Trade on 45+ Exchanges from a single account and trade hundreds of currencies from the palm of your hand with Coinigy for Android. Rest easy knowing Coinigy's 24/7 Exchange & Wallet Portfolio Monitoring is always keeping an eye on your balances, even while you're sleeping. We are a Cloud-Based Platform that offers Superior 99.9% Uptime from our Google Datacenters. tl;dr? Never miss a trade opportunity again with Coinigy. Access more than 75 Technical Indicators and Trade Directly From The Chart on all your favorite exchanges. Get instant access to Real-Time API & Historical Data. Enterprise-grade data feeds for individuals & institutions. tons of Apps and Third-Party Integrations. Sharpen up your trading know-how with our comprehensive Knowledge Base containing helpful instructions and tutorials. We're here for you when you need us with 24/7 Support via both live chat and help desk. All user data is secured with Strong Encryption and we never handle your funds directly. Your Bitcoin Is Hands-Off, stored safely at the exchange or in your own wallet. Bottom line, you are safe with us. Coinigy is built with Enterprise-Grade Security on a multi-tiered server architecture.